The Benton County Fairgrounds is a county government department which manages the operations of the Event Center and produces the annual Benton County Fair & Rodeo. Located in Corvallis, Oregon, the facility is just minutes away from downtown Corvallis and the OSU campus. Covering 29 acres, the Event Center offers facilities for public or private rental, and operates the Benton Oaks RV Park. The Event Center plays host to many of the community's favorite annual events, including da Vinci Days and the Pastega Christmas Light Display. 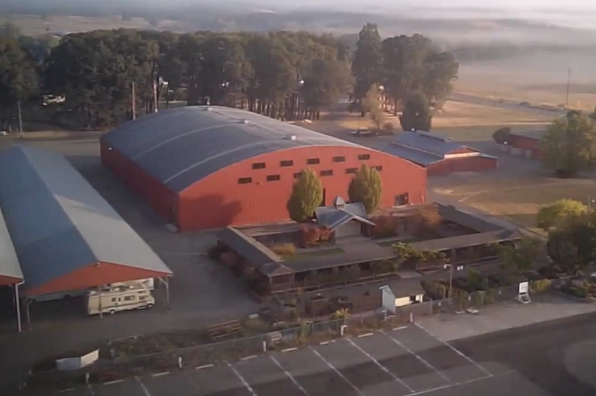 Benton County Fairgrounds and Expo Center: 12, 065 square feet, 20 – 300 rounds, 30 – 550 theater style, 18-300 classroom style. Floral Courtyard: 9,400 square feet, 700 rounds, 900 theater style, 500 classroom style, outdoor venue.